Today in Masonic history Roy Rogers is born in 1911. Roy Rogers was an American singer and cowboy actor. 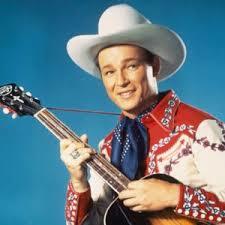 Rogers was born Leonard Franklin Slye, he would not take the name Roy Rogers until 1938. It was when Gene Autry entered the United States Army that Leonard Slye would become Roy Rogers. He quickly became competition for Autry for America's favorite singing cowboy. Prior to his first movie role in 1935 Rogers, in 1931, auditioned for the Midnight Frolic radio show. This was at the encouragement of his sister Mary. Rogers was shy and was not comfortable with the idea. The day after the auditioned he was asked to join The Rocky Mountaineers a local country music group. Rogers would be in several bands until he the Sons of the Pioneers in 1934 (the year prior is the Pioneer Trio). The Sons of the Pioneers would continue to perform replacing members when they retired or passed away. Rogers would appear with them or they would be his backup group until his passing in 1998. In 1940 Rogers signed a new contract with the studio he worked with, Republic Pictures. In the clause he would have the right to his name, likeness and voice for merchandising. Roy Rogers would be second only to Walt Disney in regard to the amount of merchandise that bore his name and likeness. In 1932 Rogers acquired a palomino colt called "Golden Cloud" which he renamed Trigger. Shortly after acquiring Trigger, Rogers went on tour and met his first wife, Grace Arline. The couple would have three children together. Unfortunately Grace would pass away due to complications from child birth in 1946. Rogers would meet his second wife, Dale Evans, while making a movie in 1944. Shortly after Grace Arline's passing Evans and Rogers would fall in love and be married just a year later. Rogers, Evans and Trigger appeared together regularly in Movies and Public appearances. Rogers was a member of Hollywood Lodge No. 355, a member of the Scottish Rite Valley of Los Angeles and Al Malaikah Shrine Temple.